Unleash your creativity! There has never been an easier way to sculpt anything, from scale model railroad scenery, to 1-to-1 architectural elements to larger-than-life-size creatures and more. With these easy-to-use tools, inexpensive, ordinary light-weight foam can be cut, shaped and transformed into virtually anything you can dream up. Used by movie studios, museums, world-renowned attractions, theme parks, architects, artists and more, chances are you’ve seen, touched or were amazed by something crafted with these tools. There has never been a quicker, more cost-effective way to bring your vision to reality. And, with our variety of finishing products, the pieces you create can even be made to withstand the elements outdoors. #87932 Hot Wire Foam Factory Pro Scroll Table Kit Our Heavy Duty Pro Scroll Table has 30% more power than the light duty version sold by others. This extra power allows the use of a larger diameter wire that you pre-form into any desired shape. 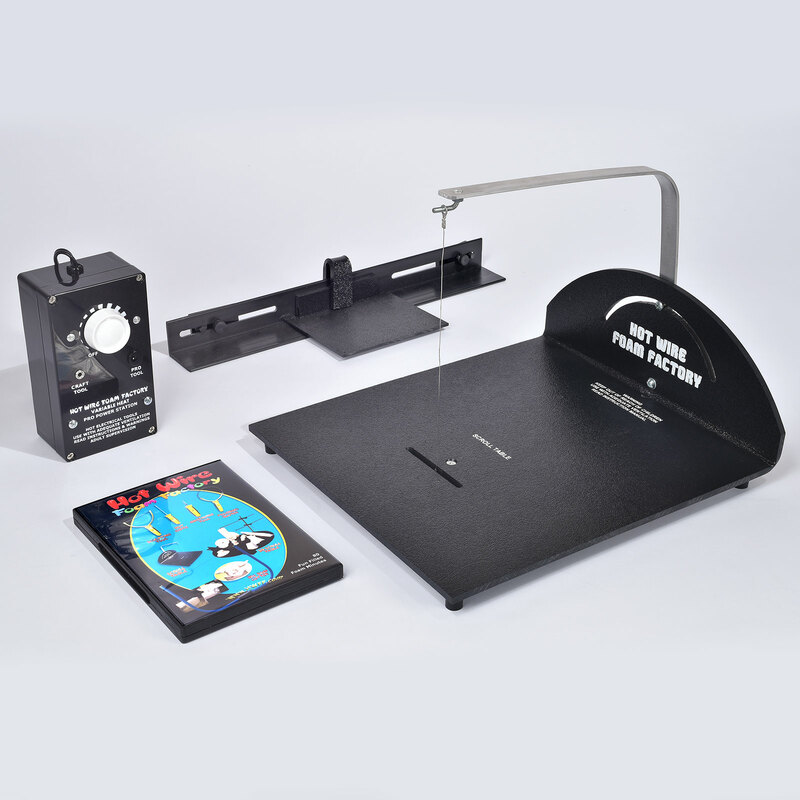 Kit includes L-shaped Scroll Table • Stationary Fence for precision cuts and paper-thin slicing • Traveling Fence for complex angle cutting and for shaping cyinders and cones • 4 Pro Scroll Blades • 4 Precision Pro Scroll Blades • Variable-Heat Pro Power Station • Instructional DVD • Printed instructions.